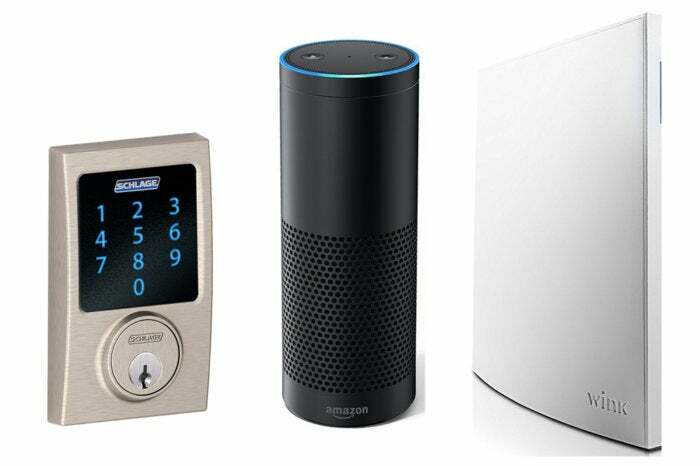 Entry lock manufacturers Kwikset, Schlage, and Yale have announced new Alexa skills that enable you to control some models of their entry locks via voice commands directed at Alexa-enabled products such as the Amazon Echo series. But you’ll also need to own a smart home hub—either a Samsung SmartThings or a Wink Labs’ Wink—in order to use them, since the locks themselves don’t have mics and don’t connect directly to the internet. Schlage is enabling this skill for its Connect series of touchscreen entry locks and Kwikset is adding this capability to its Kwikset SmartCode 910-, 914-, and 916-series locks. Yale has aded Alexa compatibility to its Real Living series deadbolts and levers with either Z-Wave or ZigBee radios onboard (The Wink hub is Z-Wave compatible, while the SmartThings hub supports both Z-Wave and ZigBee).. These smart entry locks will respond to just two voice commands in the beginning. You’ll be able to ask Alexa to lock your door, and you’ll be able to ask her the current status of the lock. You wouldn’t want Alexa to unlock your door, as that would present a tremendous security risk because Alexa can’t distinguish between your voice and a burglar’s. But I know from personal experience how convenient it is to use a voice command to lock a door from anywhere in range of my Amazon Echos (I have an Echo Dot in almost every room of my home, including my garage). 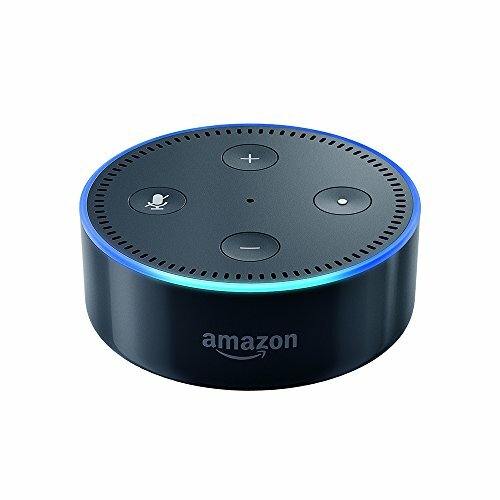 I’m using a Vivint Smart Home system that gained Alexa Skills more than one year ago. Editor's note: This story was updated on March 1 with new information provided by Yale Locks and Hardware.